Two important dimensions: supervision and knowledge. Supervised Word Sense Disambiguation: pros and cons. Vector representation of context. 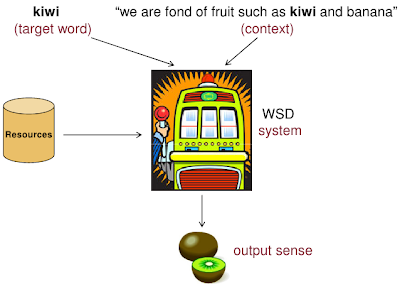 Main supervised disambiguation paradigms: decision trees, neural networks, instance-based learning, Support Vector Machines, IMS with embeddings, neural approaches to WSD.